Fujian Shipbuilding Industry has announced that it has signed an agreement with Fujian Yongfan Wind Power Technology and individual Dr. Zhu Ronghua for the establishment of a joint venture called Fujian Offshore Wind Power Operation and Service Company. The joint venture will mainly provide offshore wind farm maintenance services. In August, Fujian Fuchuan Investment, the investment unit of Fujian Shipbuilding Industry, ordered five wind farm maintenance vessels at Fujian Southeast Shipbuilding. At the end of December, Fujian Shipbuilding Industry set up an offshore engineering joint venture with state run China Railway Major Bridge Engineering Group and China Three Gorges New Energy Company to offer service to the emerging offshore wind industry. 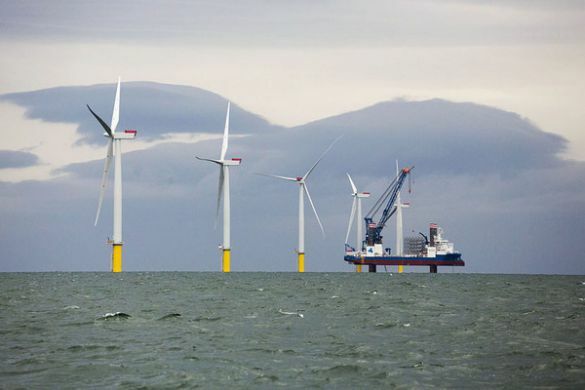 China started the construction of a large offshore wind farm in Fujian in December 2015. The wind farm is expected to be completed in 2018 with an estimated investment of RMB8.2bn ($1.18bn).